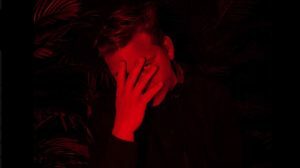 Norwegian wunderkind artist and producer Maybon has revealed his amazing new single Do We Even Matter featuring Swedish pop talent Kim Cesarion. Focussing on the exploration of finding your own place in the world, Do We Even Matter draws upon resemblances of Maybon’s own life and his quest for creating something meaningful that can inspire others to embrace their uniqueness, and chase their dreams. Unlike many of his contemporaries Maybon’s never really tried all that hard to fit in, even if that may have been the easiest and most comfortable option. He’s sought out, rather than avoided his ‘otherness’; that which sets him apart. From his earliest attempts at making music as a child, it’s always been about the creative process, and developing as a songwriter and producer. Maybon enjoys co-writing sessions, and for Do We Even Matter with Bård Bonsaksen (Ina Wroldsen, Steve Aoki) and Brandyn Burnette (Lost Kings, SJUR) the synergy in their collaboration was electrifying. The result is a beautifully restrained production, with an unmistakable Maybon touch.